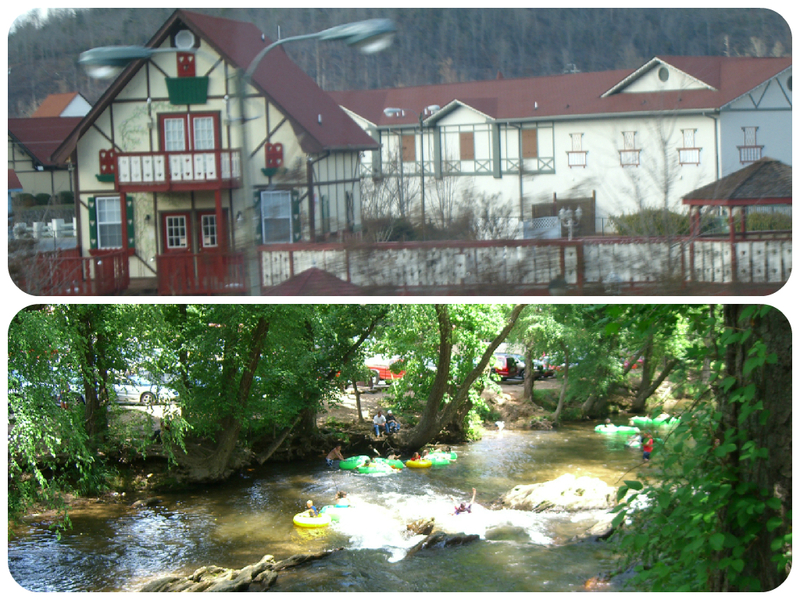 The small alpine town of Helen is nestled in the Blue Ridge Mountains on the Chattahoochee River. This town has been built as a quaint German town with half-timbered buildings painted in traditional red, brown, and green. 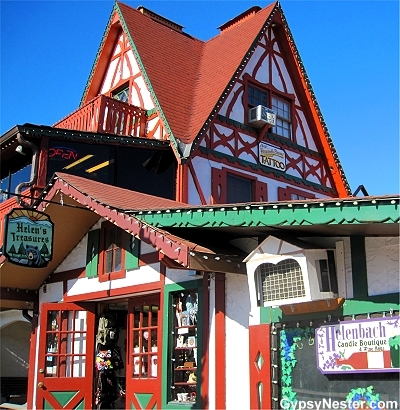 You will actually find a number of German-speaking residents and visitors who enjoy the traditional food, shops like Hansel & Gretel Candy Kitchen, and lodging at The Heidi Motel complete with a windmill. Most tourists visit for festivals like Oktoberfest or for a lazy day tubing down the Chattahoochee River! The drive from the city is the best part – farms with huge fields of cows, tons of antique stores, and produce stand with fresh peaches, tomatoes, pecans, and boiled peanuts! You can get all the Georgia staples on one drive! Here is Emily L to bid you ‘Guten Tag’ and tell you all about her adventures in Helen! Helen is a charming town that makes you feel like you are driving from Atlanta straight over the ocean to Berlin! It is the perfect place to get away to relax, eat delicious food, and take in the beautiful scenery! My favorite part about visiting Helen were the shops! For some reason, I love kitschy touristy shops filled with trinkets and ‘Emily’ key chains. Obviously, I had to take home a pair of mini wooden clogs and a windmill magnet! After building up quite an appetite shopping, I ate a yummy Reuben at a cafe along the river and watched the tubers float peacefully by. I highly recommend staying in a cabin instead of a hotel in the downtown area and you absolutely cannot leave until you get some sweets from Hansel & Gretel Candy Kitchen! Fudge, taffy, or truffles – it’s ALL good! Helen will be available in the following bases: TML,Pashmina, Tosh DK, Tosh Vintage, and Tosh Sock.